Hard Disk Drive HDD 3.5" to 5.25" Mounting Kit Bracket Adapter -Sale & help comments reviews. 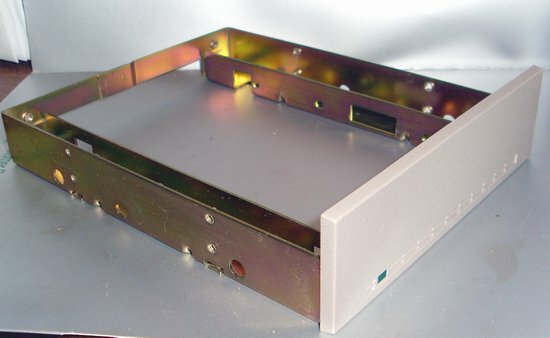 This 3.5 inch to 5.25 inch adapter bracket allows 3.5 inch hard drives to be mounted in standard 5.25 inch drive bays. It works with IDE, SCSI, or SCA drives. This adapter is the old type, the one that comes with the face plate and very easy to mount, difficult to get one of these now a days. NOTICE: This Pre-Owned-Recycled hard disk drive hdd 3.5 to 5.25 mounting kit bracket adapter was described to the best of our knowledge and it is offered as-is. If the field -Items in Stock- shows zero, the product is no longer available.